Global Events in Clickteam Fusion 2.5 are just that; Events that are global to the application. This Clickteam tutorial will focus on Global Events. In Clickteam Fusion 2.5, each frame contains its own ‘Event Sheet‘. This event sheet tells Fusion 2.5 what to do on that particular frame for those objects inside that frame. However, if you have the same objects across, say 20 frames, this would mean managing 20 event sheets that do pretty much the same thing on every frame. Introducing… Global Events. 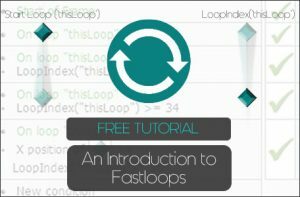 You can download the template MFA from here to follow along. 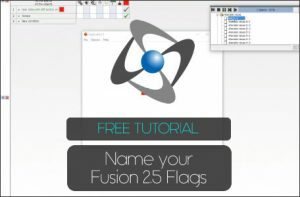 If you like this tutorial, why not join the ClickFusion Academy today and gain access to over 100 exclusive, premium tutorials to help you further your developments with Clickteam Fusion 2.5. Next, take a quick look at the Storyboard of our application. 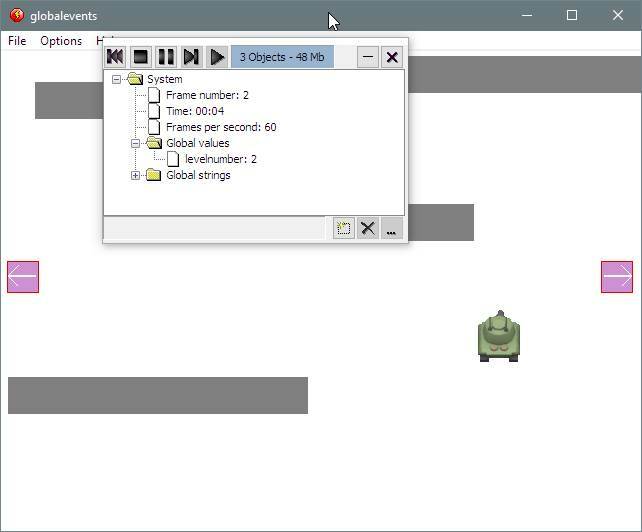 You can see there are five levels with the same object in each one (Tank) and there are some obstacles in each level. There are also two additional objects, one to go to the next level and one to go to the previous level, when the tank overlaps it. 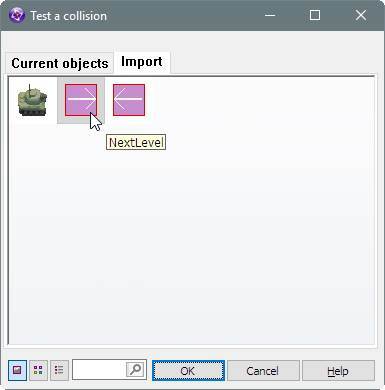 Now create a new event, this time select the Tank and select Collisions > Backdrop. 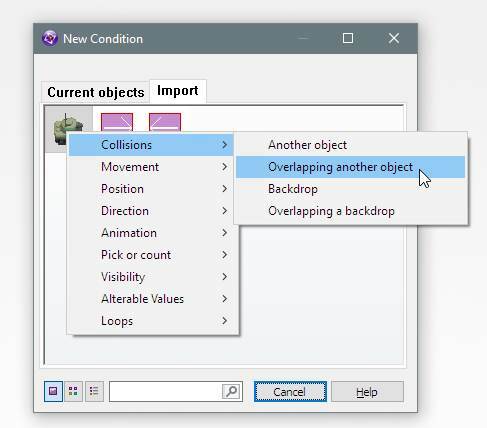 When the event is in, right-click under the tank on that event line and select Movement > Stop. At this point, you can test your application by pressing F8 on your keyboard. You should now be able to change frames by moving the tank over the arrows. So, now you can see how Global Events work. 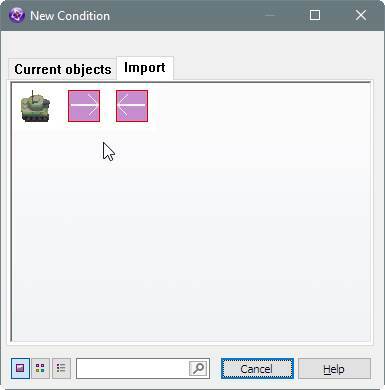 You have to reference the objects in a condition or an action, in order for them to be imported into the Global Event Editor. Finally, you can use Global Strings and Global Values with both the Event Editor and the Global Event Editor. So jump back into the Global Event Editor. 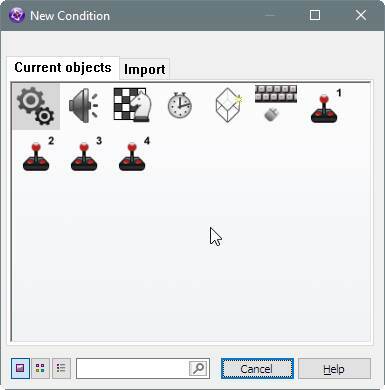 Create a new event (new condition) and select the Special Conditions icon then select Always. So what is the difference between the Event Editor and the Global Event Editor? Nothing, mechanically. They are the same editor window except the Event Editor edits events for whatever frame you are editing. The Global Event Editor edits events for the whole application. 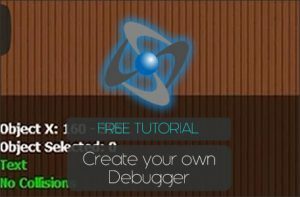 Hopefully this tutorial has covered enough on Global Events in Clickteam Fusion 2.5 to help you along. Just a tip: Qualifiers do not work with Global Events.